– Lay 2 slices of parma ham on a surface and place a pork steak on top. 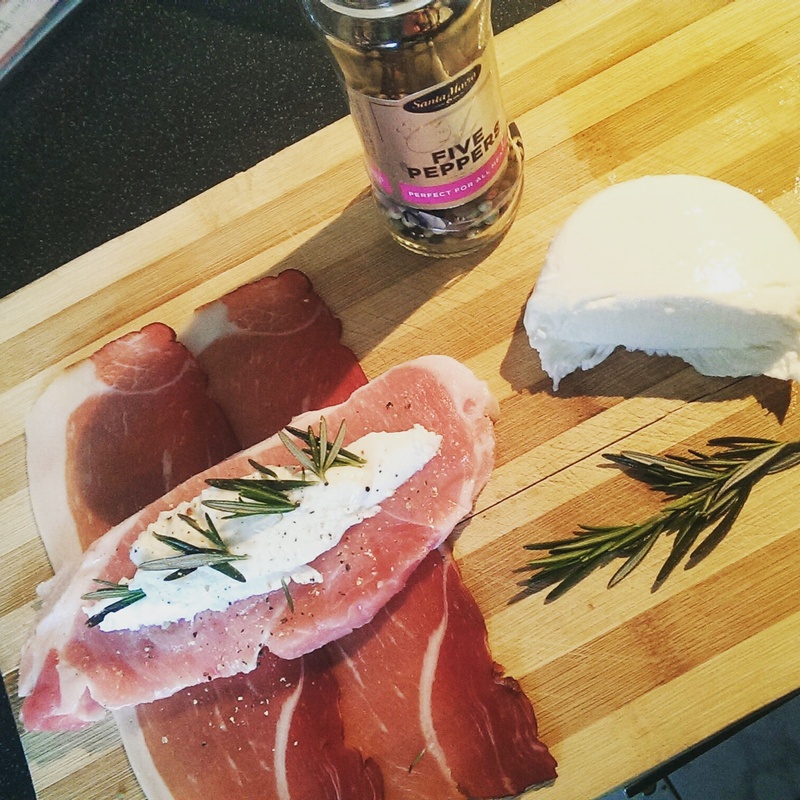 Add a slice of mozzarella along the pork steak, season with pepper, add a few sprigs of fresh rosemary and wrap the parma ham around the pork steak. Repeat for each steak. – Place on to a baking tray and cook in the oven for 30mins until the parma ham is crisp and pork juices are running clear. I love rosemary and cheese, so this is a recipe I might try. Perfection! I love every detail.